Bosselman Enterprises, a multi-state travel, convenience store, mechanical and hospitality company with over 1,400 employees, approached us at Corporate Three Design to create a menu to help brand their new restaurant concept in Grand Island, NE. 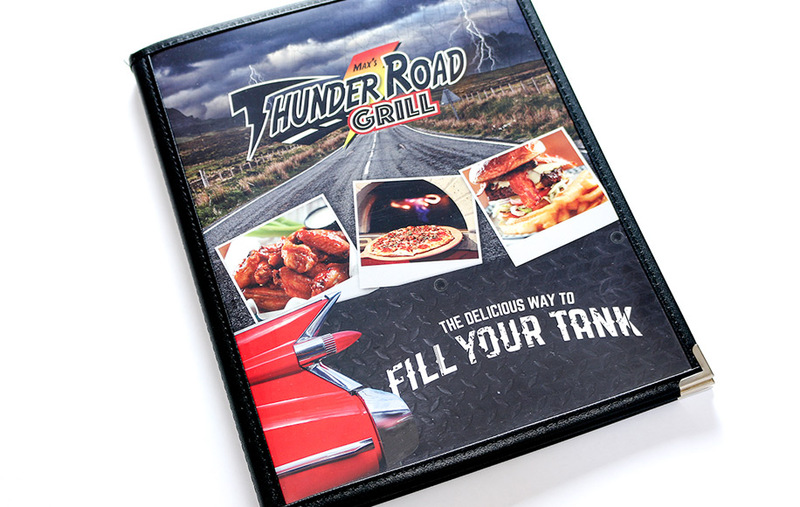 Max's Thunder Road Grill, a 400 seat restaurant, is an automotive and motorcycle enthusiasts dream. The restaurant is known for its themed rooms like the "Corvette" and "Brickyard," and for the classic cars owned by local collectors that are rotated quarterly. 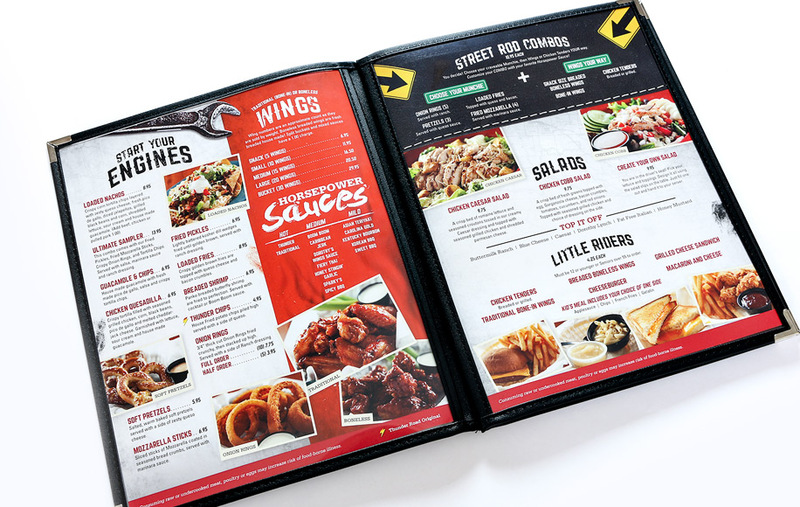 The extensive menu needed to be organized into a readable layout and support the road warrior theme of the restaurant. We developed the section titles and entrée names. 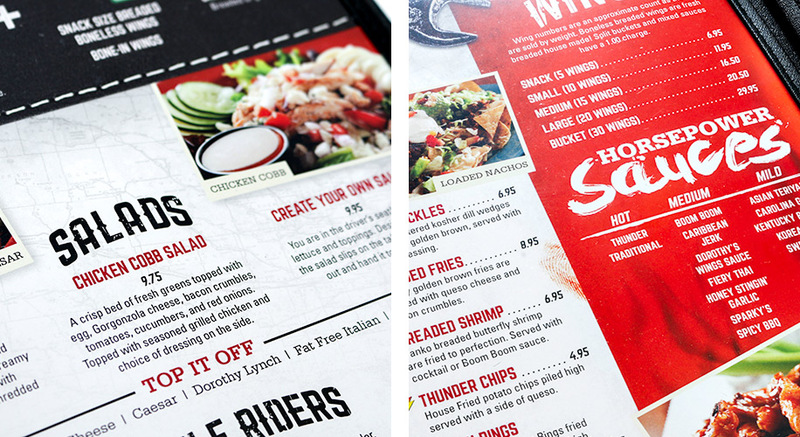 To further reinforce the "Max's Thunder Road Grill" identity, we created a custom font face for the menu titles. The Bosselman's team was pleased with the outcome of the cleaner, on-brand menu redesign. After working with Corporate Three Design, Max's Thunder Road Grill guest satisfaction scores increased and the food ratings jumped 5 points in 2 days.